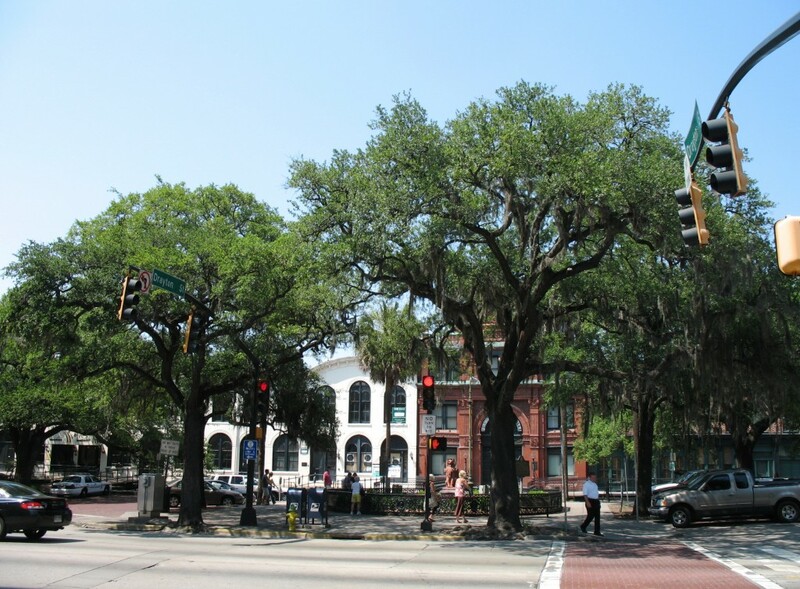 Savannah is one of the oldest cities in the Southeastern United States with a rich history. 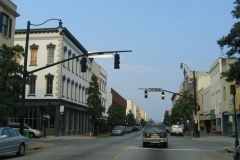 Boasting over 1,100 historical buildings, the seat of Chatham County lies along the Savannah River within the Gold Coast region of Georgia. 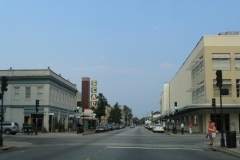 With an economic base in industry, tourism, shipping and the Port of Savannah, Savannah is the economic center of southern Georgia. Profiled here are the important roads serving the metropolitan area including freeways, arterials and numbered routes. 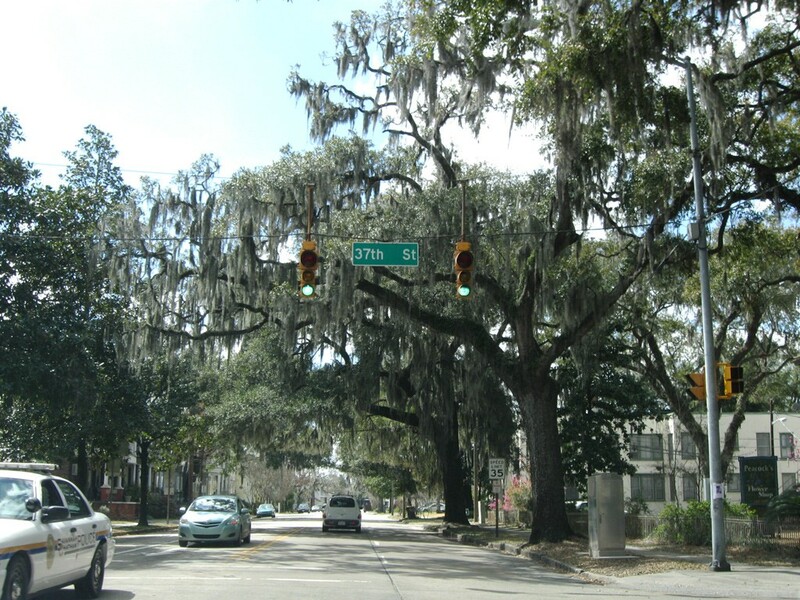 Savannah was discovered by English General James Edward Oglethorpe in 1733. Oglethorpe landed his craft along the Savannah River in February of that year and claimed the land as England’s 13th colony. He named the land Georgia after King George II of England. 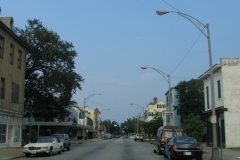 Savannah was the first city established in Georgia. 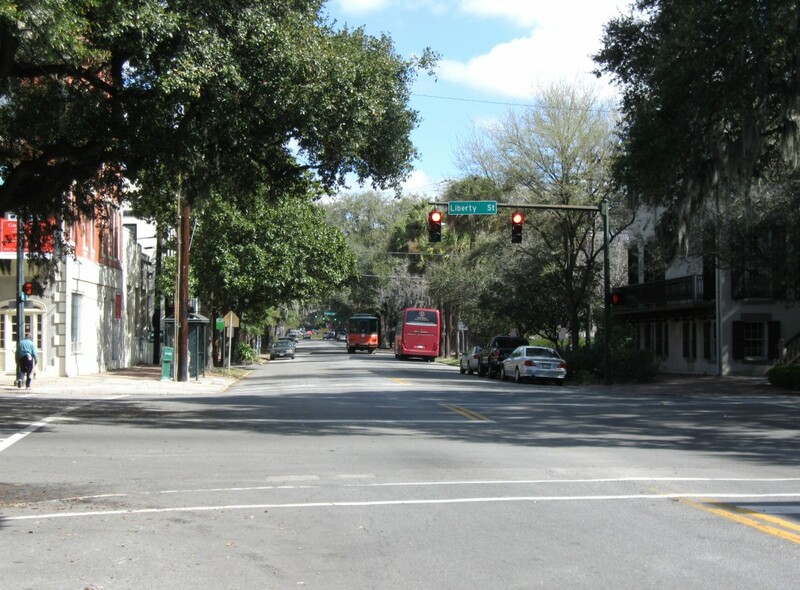 Oglethorpe planned it with a grid of wide streets complimented by 24 public squares and parks. 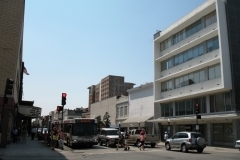 The squares and other public land would act as meeting places for residents and merchants. 45 years later Savannah was seized by the British during the American Revolution. The occupancy lasted four years, between 1778 and 1782, withstanding a failed liberation attempt by American and French forces in 1779. 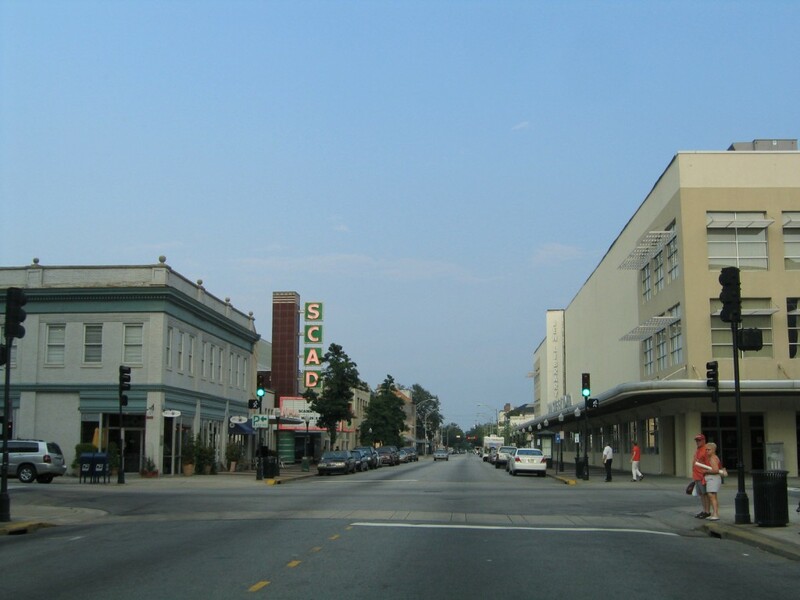 After the war’s end, Savannah prospered as an agricultural center with rice and cotton representing the staple crops. Reflecting the economic prominence of area residents as farming increased, beautiful Victorian homes rose across the city. Trade bloomed as well with the invention of the cotton gin, further anchoring Savannah’s port as a commercial hub. Misfortunes could not avoided in Savannah however. 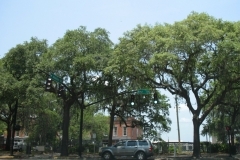 Major fires leveled portions of the city in 1796 and 1820, and Savannah again faced challenges in the years leading up to the Civil War. Trade blockades and other setbacks eventually sent the city economy into a downward spiral. When the Civil War finally broke out, nearby Fort Pulaski was captured in 1862 and by 1864 General William Sherman, and his conquering rampage of destruction, arrived in Savannah. Residents of the city evacuated before his appearance, sparing Savannah the fiery fate that had previously leveled Atlanta. Sherman instead fell in love with the city and spared it any harm. He presented it to President Abraham Lincoln as a gift on December 22, 1864, heralding the end of the Civil War for Savannah. 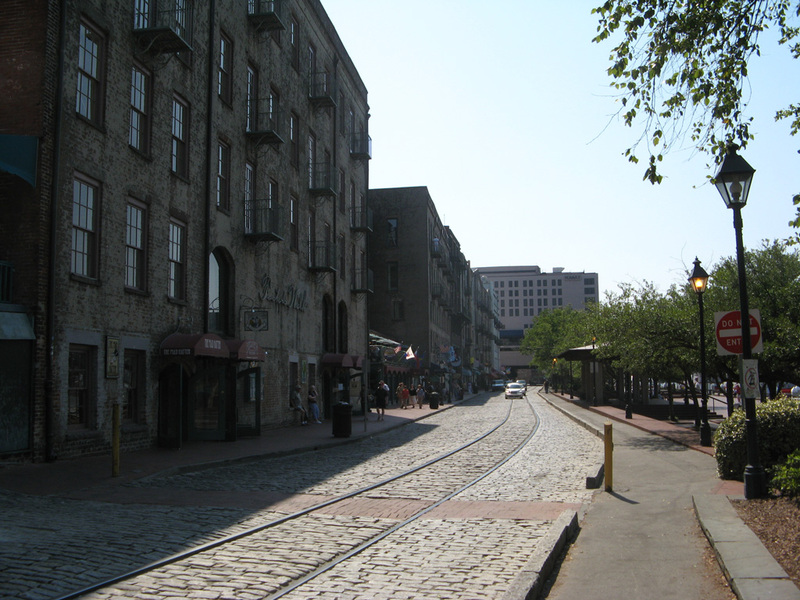 A slow rebuilding effort and resettling of Savannah ensued in the years following the Civil War. Cotton again emerged as the agricultural staple for the city and the port thrived with exports of rosin and lumber. African American slaves freed by the Civil War also settled in the city, establishing churches, schools and neighborhoods. Things improved through to World War I and the Great Depression with its economic hardship. 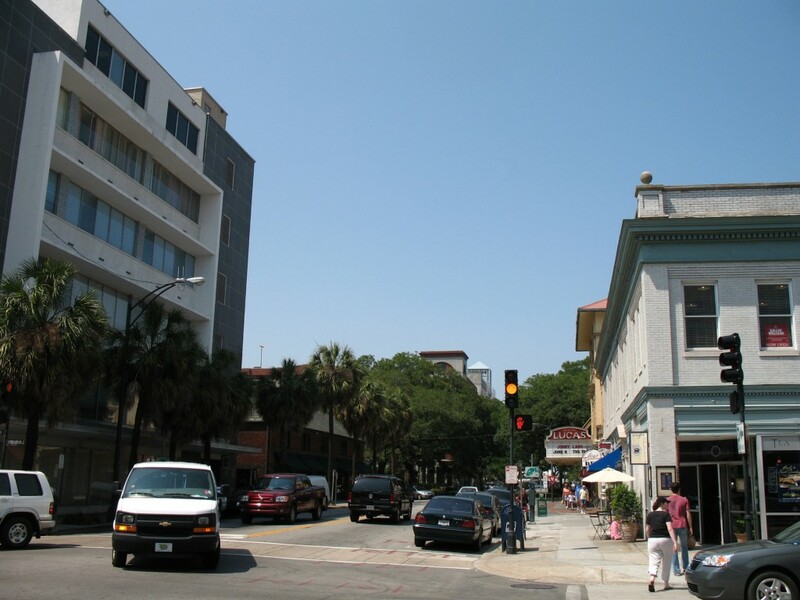 After World War II, Savannah reinvented itself as a historical city while shunning many urban renewal concepts. 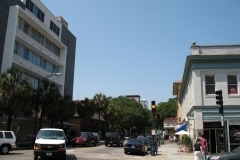 Thanks to the efforts of the Historic Savannah Foundation and other community groups, the modernistic architectural movement prevalent among many American cities at the time never took its full course in Savannah. 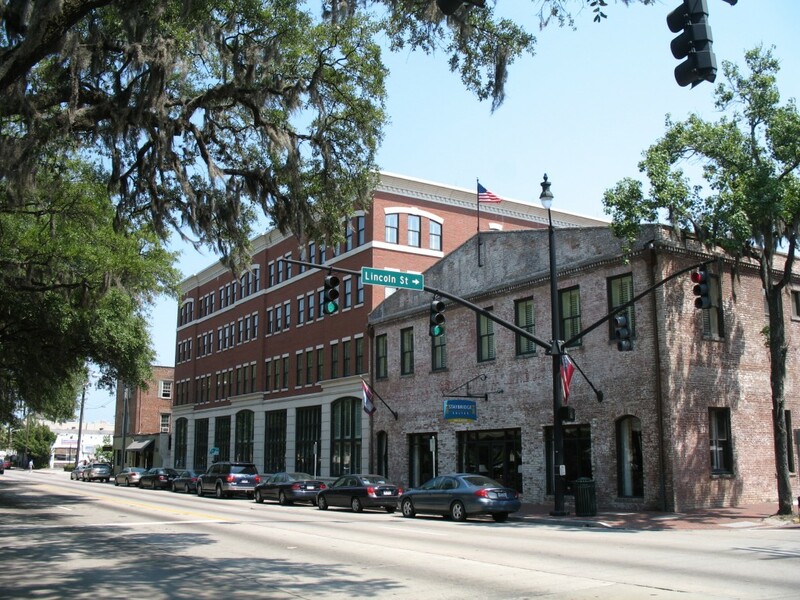 The foundation aided Savannah’s Historic District in obtaining National Historic Landmark status in 1966. 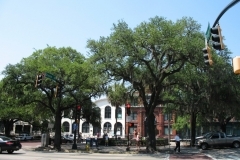 Nowadays Savannah continues to capitalize on its history in the form of tourism. 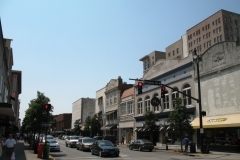 People visit the city from around the world to see Savannah’s architecture, Victorian-style houses, ornate ironworks, the shady squares, and the many fountains that dot the city.1 Additionally the St. Patricks Day Celebration held each year is one of the largest in the U.S.
Interstate 16 comprises a 167-mile route between Downtown Macon and Downtown Savannah. 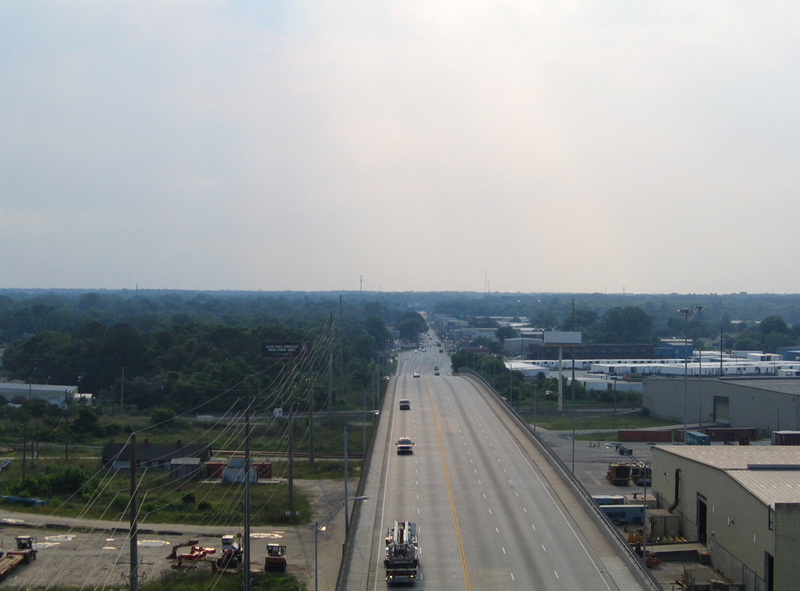 The freeway is vastly rural outside of the two urban centers, but provides an important route for the Port of Savannah and commerce to Atlanta. 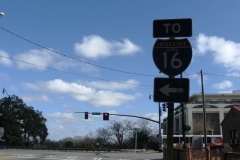 Within Chatham County, Interstate 16 serves the growing western suburbs of Bloomingdale and Pooler while also providing a feeder route into the central business district from Interstate 95, Savannah / Hilton Head International Airport (SAV), and Interstate 516 (W.F. Lynes Parkway). 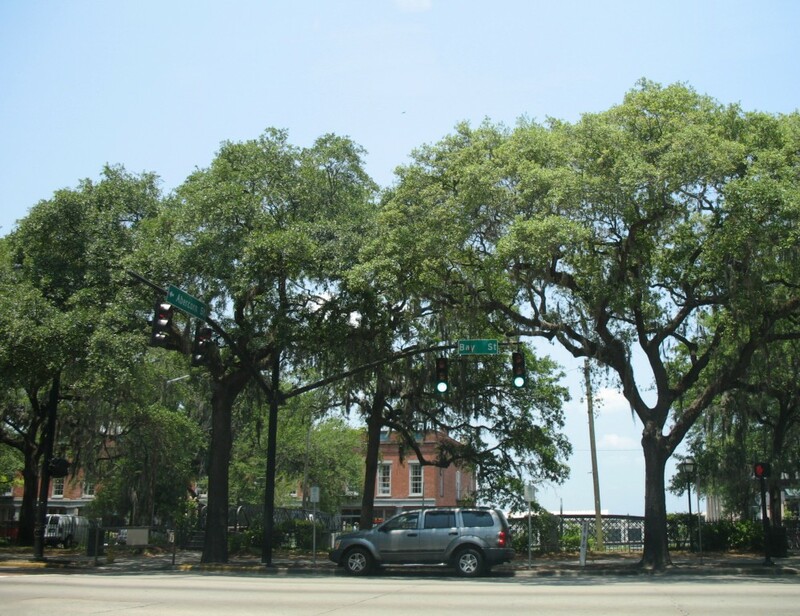 A separate project under consideration is the removal of the flyover ramp (Earl T. Shinhoster Bridge) connecting the east end of Interstate 16 with Montgomery Street to the west of Downtown Savannah. 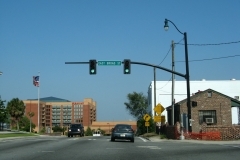 The proposal would take out the ramps extending northeast from U.S. 17 and Georgia 404 Spur and replace them with new surface streets connecting with West Boundary Street and Gwinnett Street. See the I-16 Ramp Removal Study web site for more details. 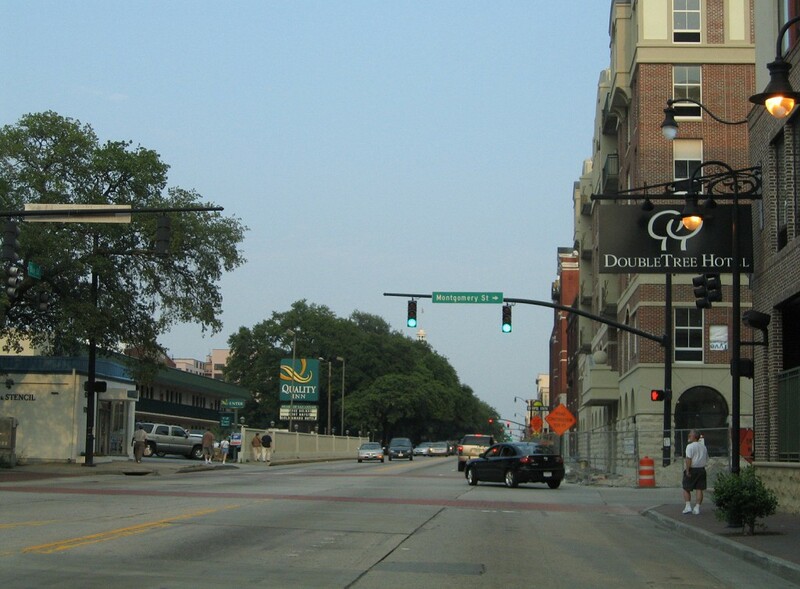 Georgia 26 Loop was built as a freeway bypass for Savannah during the 1960s between Garden City and DeRenne Avenue in Midtown Savannah. The designation related to Georgia 26, the co-signed route with U.S. 80 from Macon east to Tybee Island. The four-lane freeway is named after William F. Lynes, Jr. a former Chatham County Commission Chairman and supporter of I-16 construction in the 1960s.2 Georgia 21 joined the Savannah Bypass in 1979, accompanying the entire route southeast from Garden City to DeRenne Avenue and Georgia 204 (Abercorn Street) in Midtown Savannah. By 1985, Interstate 516 was designated to replace Georgia 26 Loop. 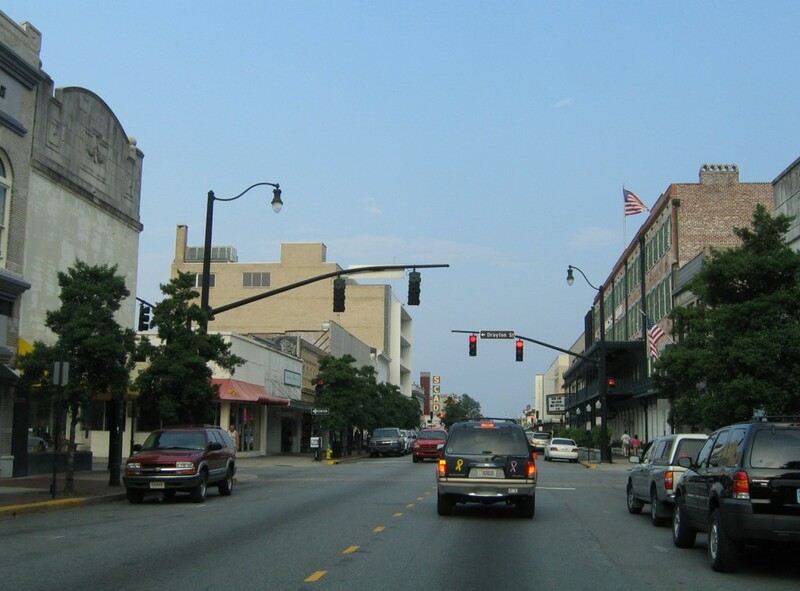 Signed as an east-west route, I-516 provides a through-route for interests between Garden City, Port Wentworth, Midtown Savannah and Hunter Army Airfield. The addition of I-516 to W.F. Lynes Parkway included new signs, but few other changes to the freeway. Exit numbers along I-516 count upward as one travels north, contrary to the east-west designation. Interchanges were renumbered during the 1999 statewide change from sequential to mileage-based exit numbers. Proposed construction at the east end of Interstate 516 addresses perennial congestion along DeRenne Avenue (SR 21) at Montgomery Street, White Bluff Road and SR 204 (Abercorn Street). Improvements outlined include an extension of the freeway southeast to a new interchange with Montgomery and Hampstead Streets. Additional work will redesign Hampstead Street east to White Bluff Road as a new boulevard, and add a flyover for I-516 above the current roadway linking with DeRenne Avenue east to Montgomery Street. The preliminary design of Project DeRenne remains under environmental review as of 2017 (Phase III). 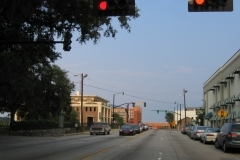 Staying well west of the Savannah city center, Interstate 95 serves the growing western suburbs of Richmond Hill in Bryan County and annexed areas of both Savannah and Pooler in western Chatham County. 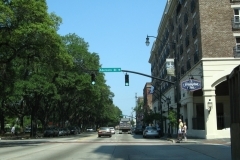 The freeway mostly serves through-traffic, interests to Savannah / Hilton Head International Airport (SAV) and freight traffic north from the Port of Savannah. 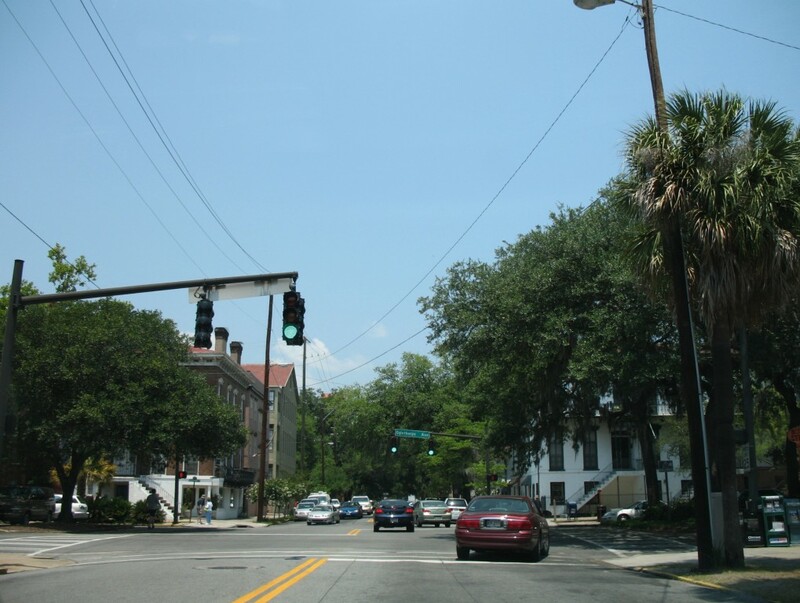 Veterans Parkway, in conjunction with Georgia 204 (Abercorn Street Extension), Georgia 21 (Augusta Road), and Interstate 16 provide the most direct routes to Savannah from Interstate 95. Suburban development encroaches on all four quadrants of the rural cloverleaf interchange joining Interstates 16 and 95. Increased commuter and freight traffic using this exchange precedes an upgrade for 2019-21 to add two high speed flyovers. All of Interstate 95 in Georgia was completed by December of 1977. 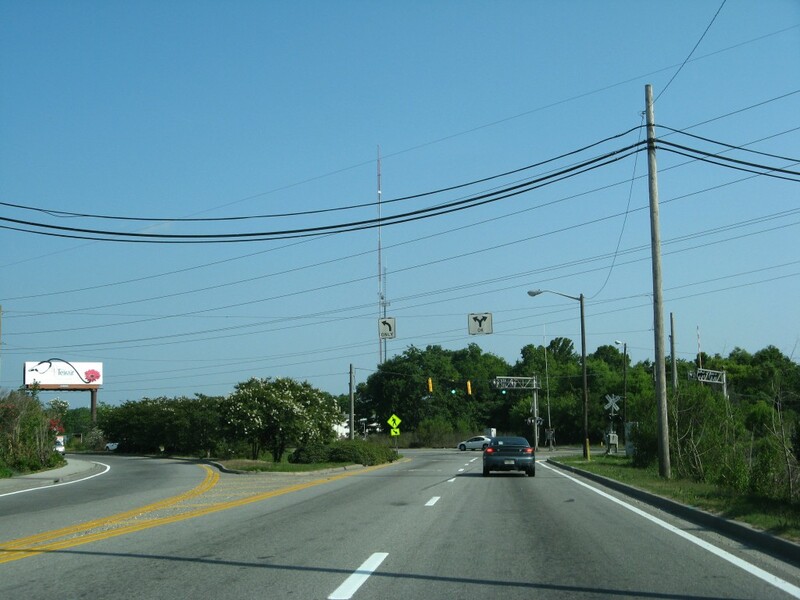 The freeway through Chatham County was expanded to six lanes as part of a state wide effort starting in 1993. 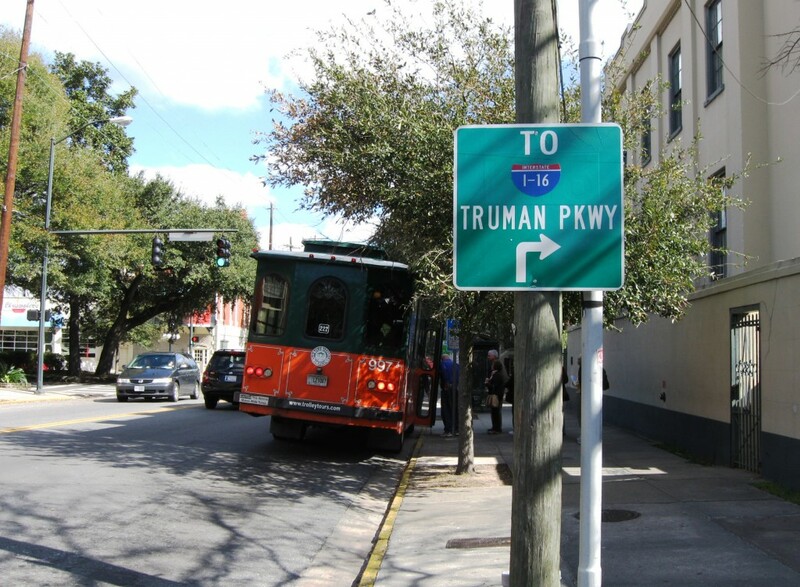 Originally named the Casey Canal Parkway for the canal it parallels, Truman Parkway constitutes a north-south freeway through the east side of Savannah. 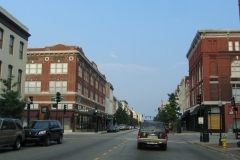 Beginning at President Street outside Downtown, the freeway meanders southward to U.S. 80 (Victory Drive), DeRenne Avenue, Eisenhower Boulevard, and Montgomery Cross Road within the city limits. Truman Parkway was extended south from Montgomery Cross Road to Georgia 204 Spur (Whitefield Avenue) on September 22, 2005. 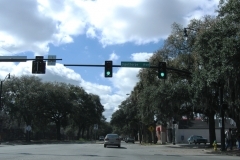 The remainder of the route west across the Vernon River into Southside Savannah was completed to Georgia 204 (Abercorn Street Extension) on March 14, 2014. Early discussion for Casey Canal Parkway started in the 1950s, with possible alignments looping as far southeast as Skidaway Island. Plans in the 1980s called for an at-grade alignment through eastern portions of the Savannah. However at the urging of local residents, the project was revised as a limited access work. 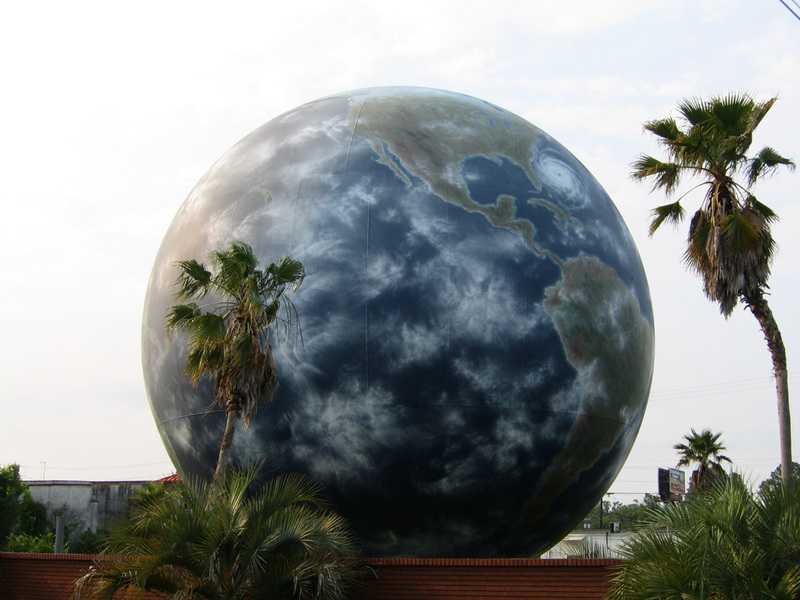 Construction commenced in April of 1990. 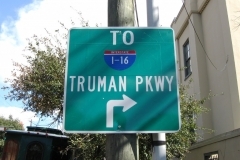 Like Truman Parkway, Veterans Parkway is also an unnumbered, county-maintained roadway. Named the Southwest Bypass until 1999, Veterans Parkway provides a high-speed route between Georgia 204 (Abercorn Street Extension) and Interstate 516 (W.F. Lynes Parkway) to the west of Hunter Army Airfield. 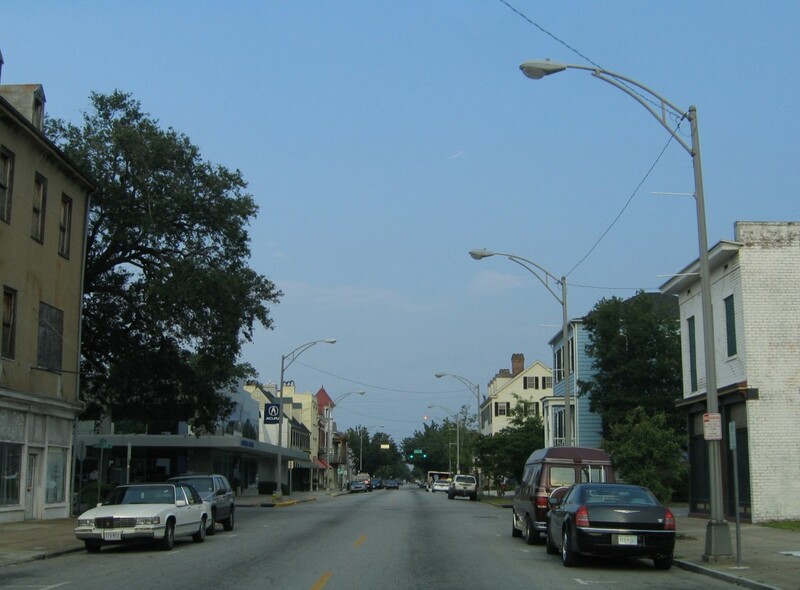 The six mile freeway, coupled with Interstate 95, provides a fast route to Richmond Hill and points south. 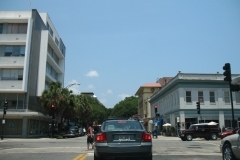 U.S. 17 follows the Coastal Highway from North Florida to Savannah. The Coastal (Ocean) Highway is a touring route that predates the Interstate system along the Atlantic Seaboard, stretching northward from the Sunshine State to North Carolina along U.S. 17, and along U.S. 13 from there to the Delaware Memorial Bridge. 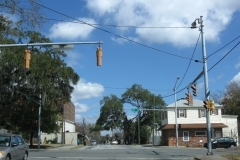 U.S. 17 overlaps with Georgia 25 northward from the Florida state line through Brunswick, Richmond Hill and Savannah. The pair merge with Interstate 516, U.S. 80 and Georgia 21 between Ogeechee Road and Interstate 16. Splitting with Georgia 25 at I-16, U.S. 17 turns east toward the Downtown Savannah and the Eugene Talmadge Bridge across the Savannah River. Georgia 25 remains overlapped along Interstate 516 & U.S. 80 northwest to Garden City, following the original U.S. 17 alignment to Port Wentworth and the Houlihan Bridge into South Carolina. U.S. 17 was relocated onto the Eugene Talmadge Bridge in 1988, replacing U.S. 17 Alternate across the Savannah River at Hutchinson Island. Prior to completion of the cable stayed bridge and approach freeway (SR 404 Spur) from I-16 in 1991, U.S. 17 followed a surface route to the predecessor two-lane Talmadge Bridge. U.S. 17 Alternate was posted in lieu of the U.S. 17 mainline due to the previous toll collection at the Savannah River crossing. Tolling ceased in 1975. Initially costing $14.4 million, the 60 year old bridge carrying U.S. 17 across the Back River, from Hutchinson Island in Georgia to Jasper County, South Carolina, was replaced in a two year project. Plans to build a new bridge originated in 2007, and work was finally underway in July 2013. With federal funds paying for 80% of the cost, the new span is 3 feet higher and supports a wider deck with 8 foot shoulders in each direction.8 With total costs at $16.4 million, the 0.6 mile long bridge opened with two-way traffic in August 2015.9 Subsequent work expands U.S. 17 northward from the Back River to four lanes, and will add a second span once funding becomes available. Interstate 16 replaced U.S. 80 (Louisville Road) as the main route between Savannah and Statesboro to the west. Paired with SR 26, U.S. 80 serves local traffic east from the southern corner of Effingham County east to the city of Bloomingdale. SR 30 overlaps with the US highway east from the county line to SR 17. SR 30 turns north along side SR 17, as SR 17 south joins U.S. 80 east for 2.5 miles to Cherry Street in Bloomingdale. A two-phase project starting in 2017 will construct an interchange at the current south end of Jimmy DeLoach Parkway and U.S. 80. 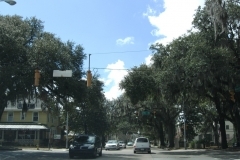 The exchange will support an extension of the parkway southward to I-16. East into Pooler, U.S. 80 & SR 26 meet Pooler Parkway, a controlled access arterial at a parclo interchange before separating into the one-way couplet of Collins Street east and Louisville Road west through the Pooler city center. Traffic along U.S. 80 & SR 26 combines along a four-lane arterial (Louisville Road) ahead of Interstate 95 and industrial areas of east Pooler. With a continuous center turn lane, U.S. 80 continues east to Garden City and north to Bay Street along side Interstate 516 & SR 21. The US route combines with the freeway (W.F. Lynes Parkway) south around the west side of Savannah to Ogeechee Road. 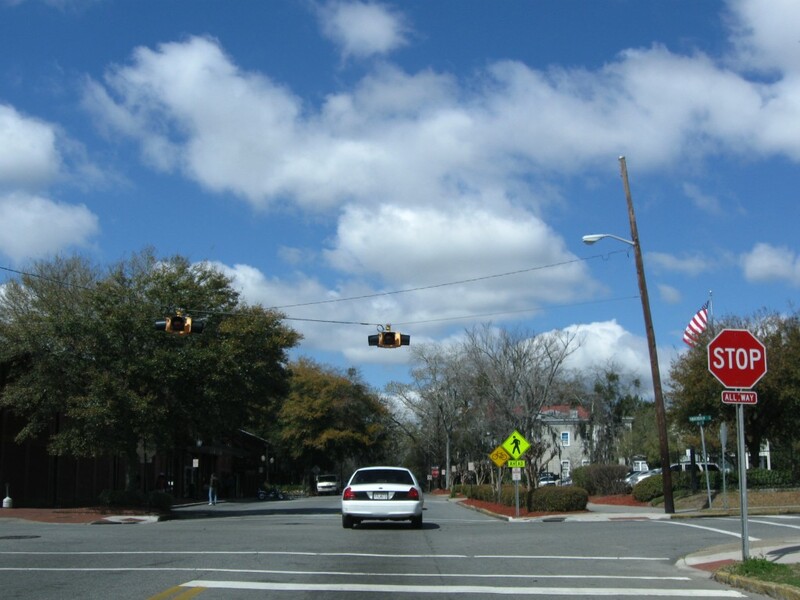 Victory Drive extends U.S. 80 east from Ogeechee Road through Midtown Savannah and the town of Thunderbolt. A high level bridge spans the Wilmington River onto Whitemarsh Island, with U.S. 80 traversing coastal areas and marshland through to Fort Pulaski National Monument and Tybee Island. 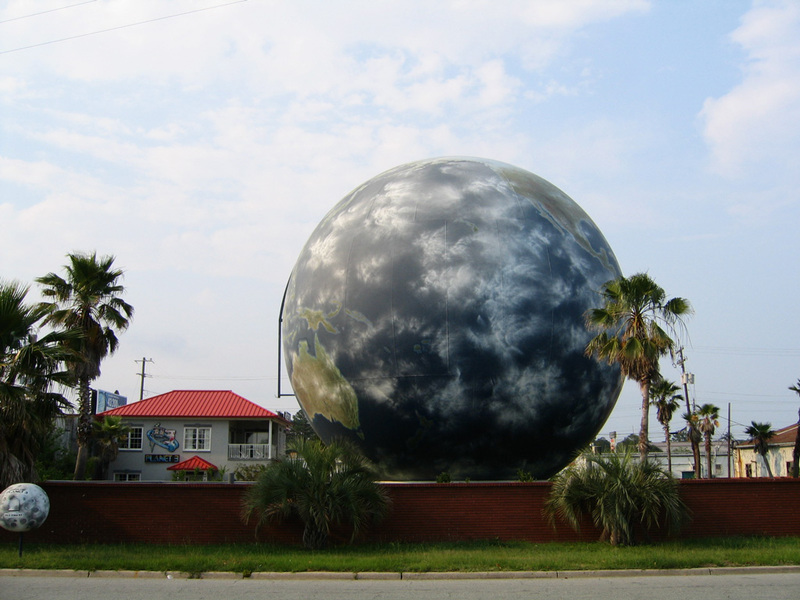 U.S. 80 ends at the intersection of Butler Avenue and 17th Street, just a tenth of a mile from the Tybee Beach Pier and Pavilion on the Atlantic Ocean. 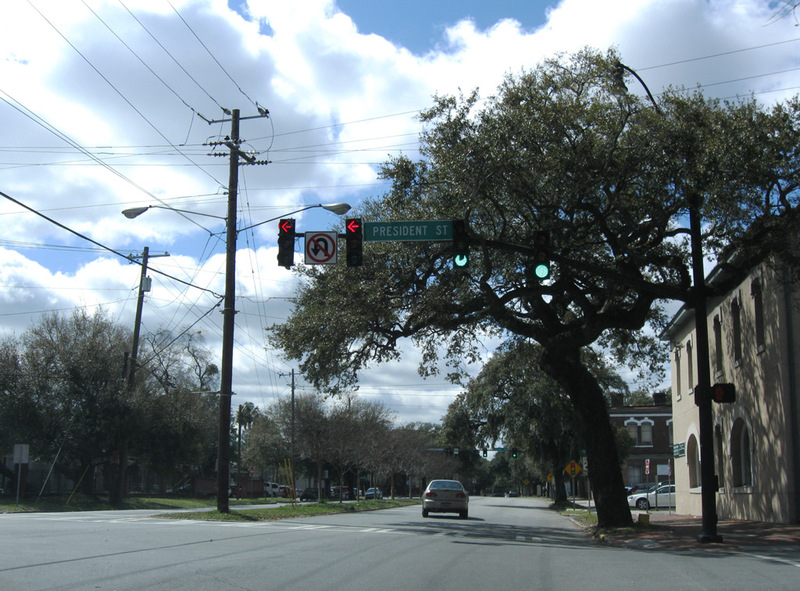 Prior to 1941, U.S. 280 overlapped with U.S. 80 east from Blichton to U.S. 17 at the intersection of Liberty and Montgomery Streets in Savannah. A rural route linking Interstate 16 with Bloomingdale, and U.S. 80 with the Effingham County city of Guyton, Georgia 17 stays west of U.S. 17. The 294-mile long state route concludes at its interchange with I-16. 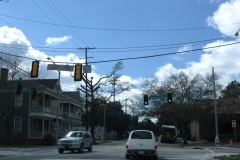 Georgia 21 begins at the intersection of DeRenne Avenue and Abercorn Street (Georgia 204) at Midtown Savannah. DeRenne Avenue comprises a major arterial route between Truman Parkway and Interstate 516 (Lynes Parkway). DeRenne Avenue upgrades to Lynes Parkway west of Montgomery Street. There Georgia 21 and Interstate 516 commence a seven mile overlap northwest to Garden City. The north end of the freeway directly transitions into Augusta Road, a five-lane surface arterial through to Port Wentworth. North from Bonnybridge Road, SR 21 combines with SR 30 through to a point just north of Interstate 95 in Port Wentworth. The busy exchange between the two routes and I-95 was redesigned into a diverging diamond interchange (DDI) by January 2017 to improve traffic flow. Beyond Chatham County, SR 21 advances northwest to Springfield in Effingham County. 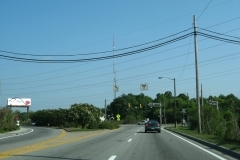 Signed as an east-west route, SR 21 Spur follows Brampton Road 1.2 miles northeast from SR 21 (Augusta Road) in Garden City to Gate #2 of the Georgia Ports Authority terminal. Georgia 25 represents the state route counterpart for U.S. 17 north from the Florida state line to their shared alignment with Interstate 516 and U.S. 80 on Lynes Parkway. 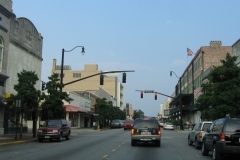 U.S. 17 separates with Georgia 25 to follow I-16 east to the Talmadge Bridge while the state route stays along I-516 north to Main Street through Garden City. Georgia 25 continues north along the pre-1989 alignment of U.S. 17 to Port Wentworth and east across the Savannah River on the Houlihan Bridge. South Carolina 170 (Alligator Alley) extends east from the Georgia 25 end back to U.S. 17. Georgia 25 Connector links Interstate 516, U.S. 80, and Georgia 21-25 at Garden City with Downtown Savannah and U.S. 17 & Georgia 404 Spur across the Eugene Talmadge Bridge. 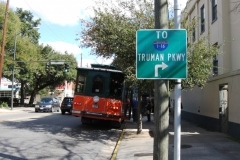 The state route travels clockwise along a combination of Bay Street east, Martin Luther King, Jr. Boulevard south and Oglethorpe Avenue west to the Talmadge Bridge south approach. Like Georgia 25, Georgia 26 represents a state route counterpart for a U.S. highway. Georgia 26 follows U.S. 80 throughout Chatham County, and overall west to Dublin and Dudley. Georgia 26 is well marked along its overlap with U.S. 80. 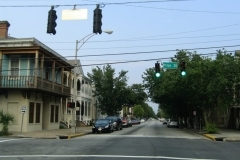 Georgia Loop 26 was the original designation for the Savannah Bypass (W.F. Lynes Parkway). 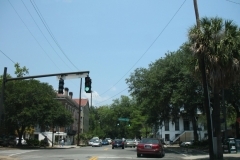 The state route branched south from U.S. 80 (Augusta Avenue / Main Street) in Garden City to DeRenne Avenue at Midtown Savannah. DeRenne Avenue continued the route east to La Roche Avenue. An unbuilt north-south leg would have returned Georgia 26 Loop to Georgia 26 at Thunderbolt. Georgia 30 travels east-west between Georgia 17 in southern Effingham County and Georgia 21 at Port Wentworth in northern Chatham County. The state route is generally rural, though suburban development appears along the route in Port Wentworth. Georgia 30 ends 0.9 miles east of Georgia 21 (Augusta Road) at Georgia 25 (Coastal Highway) near the Houlihan Bridge. 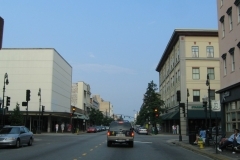 Georgia 204 (Abercorn Street) forms the main commercial corridor through Southside and Midtown Savannah. The state route originates from U.S. 280 at Lanier in northern Bryan County. Following a rural course, Georgia 204 enters western Chatham County parallel to the Ogeechee River. 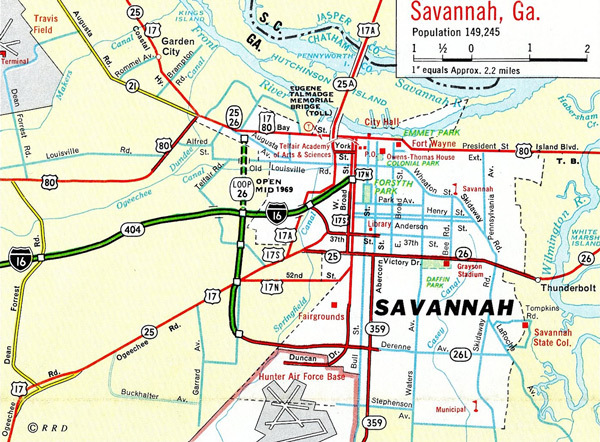 Annexed areas of Savannah extend west along the route beyond the interchange with Interstate 95. A third interchange along Abercorn Street Extension joins SR 204 with Veterans Parkway north. Veterans Parkway shuttles commuters north to I-516 in the vicinity of Hunter Army Airfield, while SR 204 plies east through a congested commercial strip anchored by Savannah Mall and Armstrong State University. Curving north at the split with Harry S. Truman Parkway, Abercorn Street Extension remains a slow moving commercial arterial through to Oglethorpe Mall and DeRenne Avenue (SR 21). 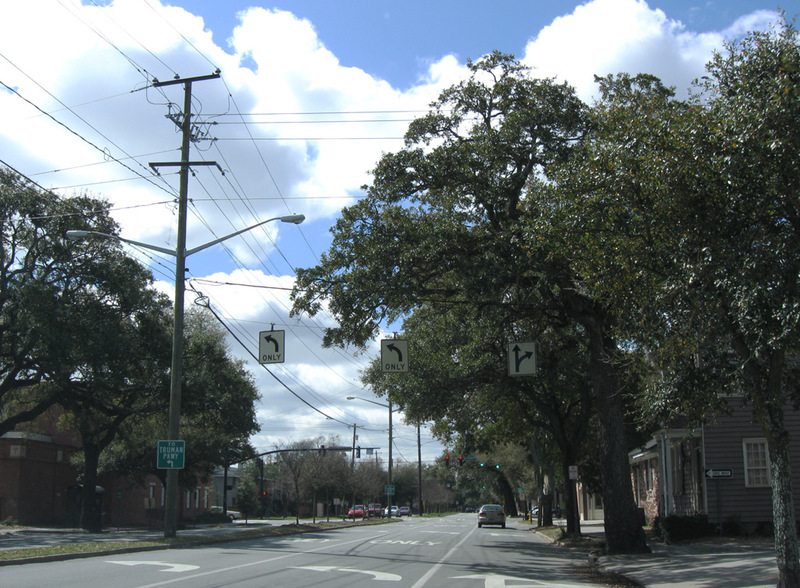 Beyond the south end of SR 21, SR 204 transitions into a tree lined boulevard through residential areas of Midtown Savannah. 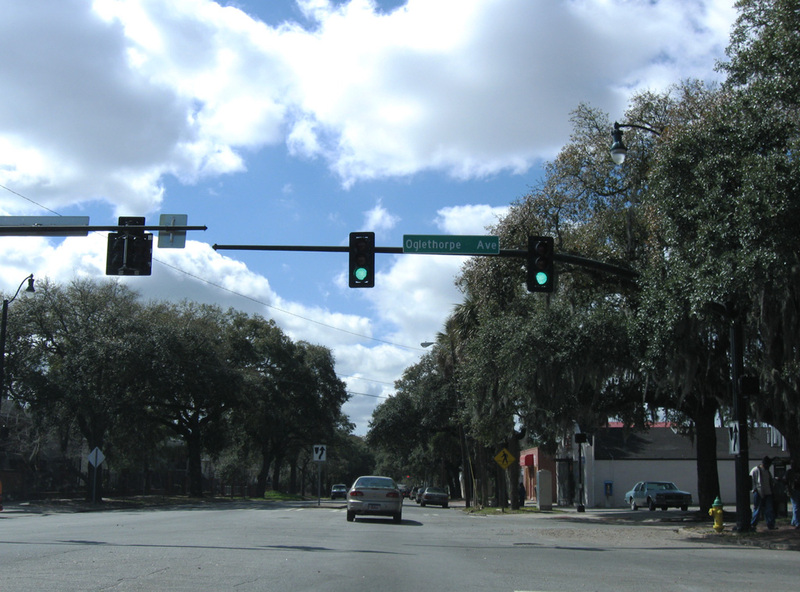 Advancing north, SR 204 (Abercorn Street) intersects U.S. 80 & SR 26 (Victory Drive) and then turns west onto 37th Street. 37th Street leads the route west to the 37th Street Connector and Interstate 16. 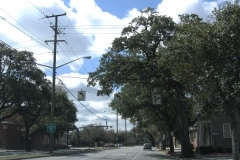 Signed in 1990, SR 204 Spur leads 7.2 miles southeast from SR 204 (Abercorn Street Extension) in south Savannah to McWorther Drive / Green Island Road on Skidaway Island. 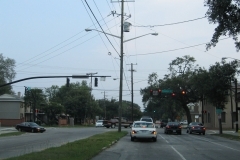 SR 204 Spur stems east from Abercorn Street Extension along Montgomery Cross Road east to Waters and Whitefield Avenues south. A diamond interchange connects SR 204 Spur with Harry Truman Parkway north of its split with Whitefield Avenue. Diamond Causeway turns the route east across the inland marshes, the Moon River and Skidaway Narrows onto Skidaway Island. SR 307 forms an 8.5 mile arc along Dean Forest Road between Garden City and Pooler. The state route originates at U.S. 17 & SR 25 (Ogeechee Road) and heads north to I-16, U.S. 80 & SR 26 (Louisville Road), SR 21 and an end at SR 25 (Coastal Highway). 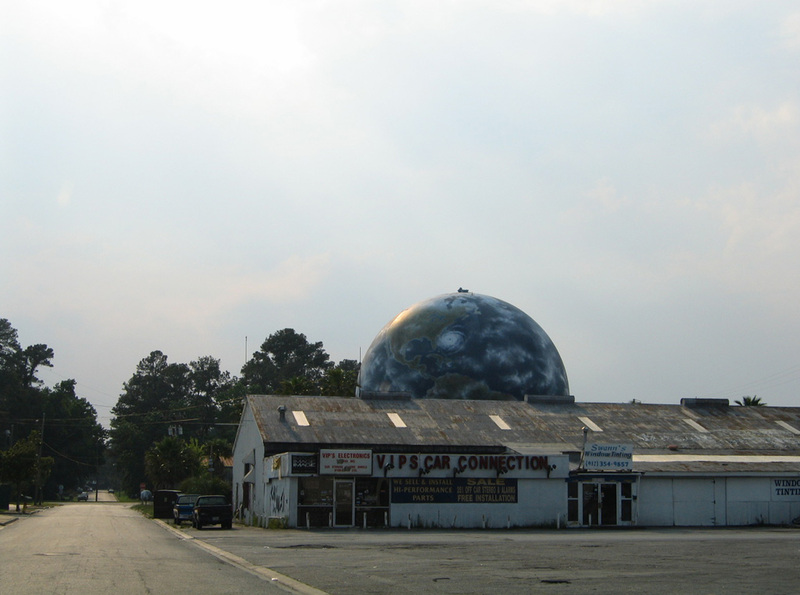 The state route formerly served the passenger terminal of Savannah International Airport until it was relocated off Airways Avenue and I-95 to the west. Planned construction at SR 307 (Dean Forest Road) and Interstate 16 will convert the diamond interchange into a DDI. 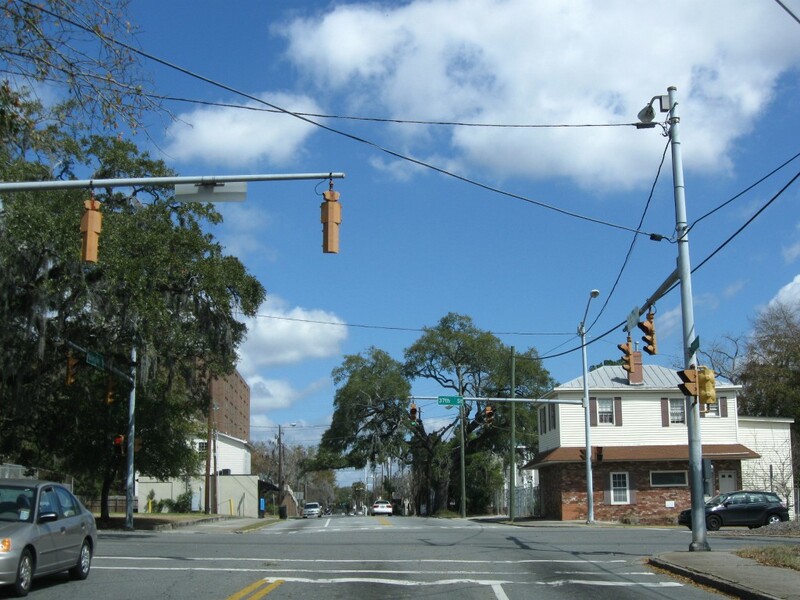 Toll U.S. 80 lined a combination of Bay Street, General McIntosh Boulevard, President Street Extension and Islands Expressway to provide a through route for U.S. 80 between Downtown Savannah and Whitemarsh Island. The Sam Varnedoe Bridge along Islands Expressway at the Wilmington River was tolled until 1980. When tolls were lifted, the bannered route was retired. Chatham Parkway is a four mile long arterial route winding north from Garrard Avenue, by the Brandlewood community, to U.S. 80 & Georgia 26 (Louisville Road) in Garden City. Maintained by Chatham County, the four lane parkway was originally planned as Georgia 167. The designation appears on 1970s official state maps and signs for Chatham Parkway on both I-16 and Veterans Parkway included space for a state route shield. 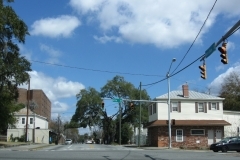 Georgia 359 was a temporary designation given to 37th Street east from Broad and Montgomery Streets, then both U.S. 17 and U.S. 80, to Abercorn Street. 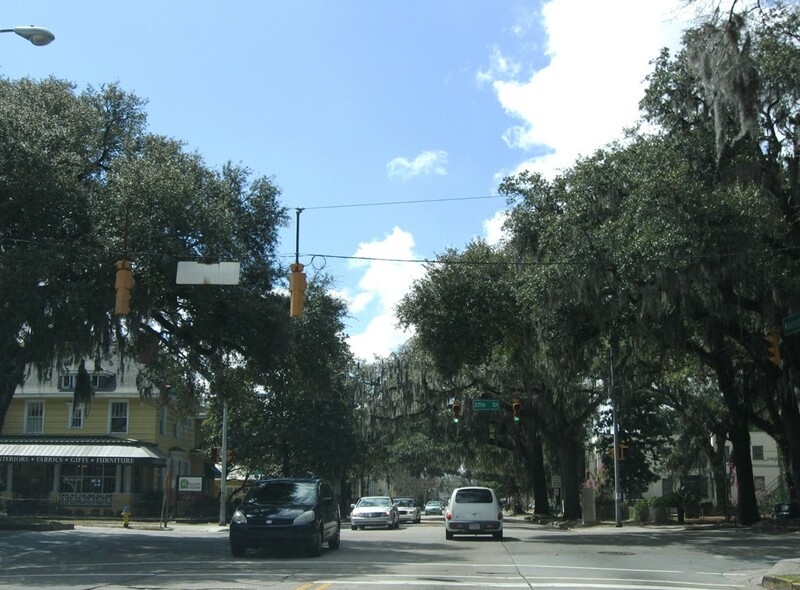 Abercorn Street Extension continued the route south to Southside Savannah. These alignments became Georgia 204. Georgia 367 followed the original U.S. 80 alignment (Johnny Mercer Boulevard) on Whitemarsh and Wilmington Islands east of Thunderbolt and west of Fort Pulaski National Monument. The state route was decommissioned by 1984. A small guide sign once directed motorists onto Liberty Street east from Abercorn Street north for both I-16 and Truman Parkway. 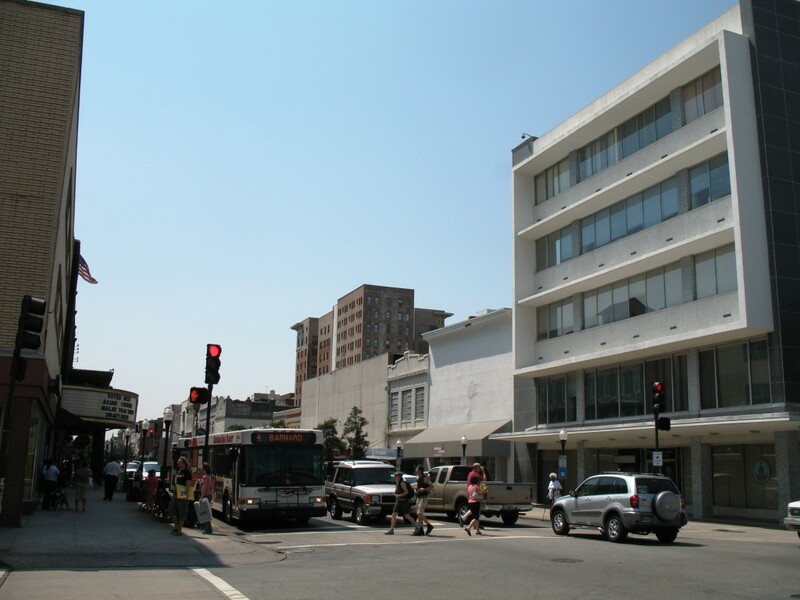 Liberty Street to Broad Street is the through route to President Street. Photo taken 03/15/10. 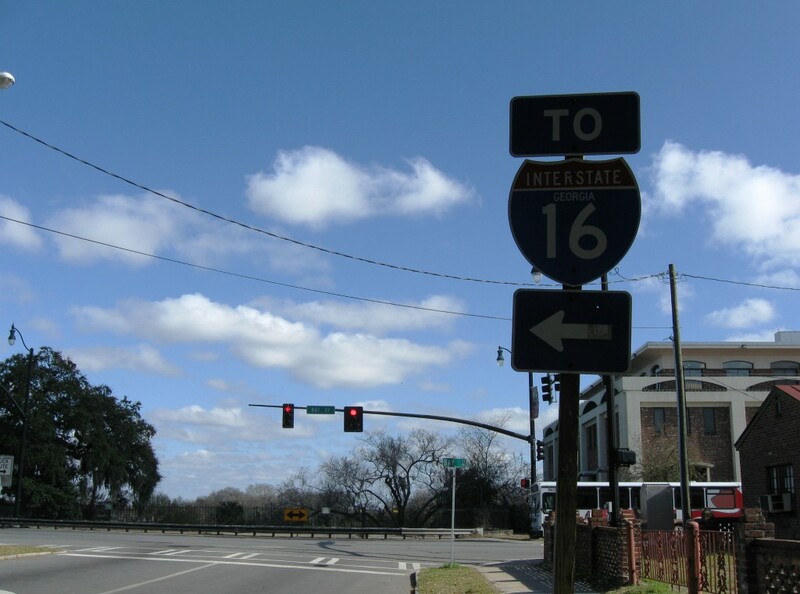 The city-installed sign for I-16 and Truman Parkway on Abercorn Street north at Liberty Street was taken down sometime after 2007. Liberty Street west leads to Martin Luther King, Jr. Boulevard just north of the westbound beginning of Interstate 16 otherwise. Photo taken 03/15/10. 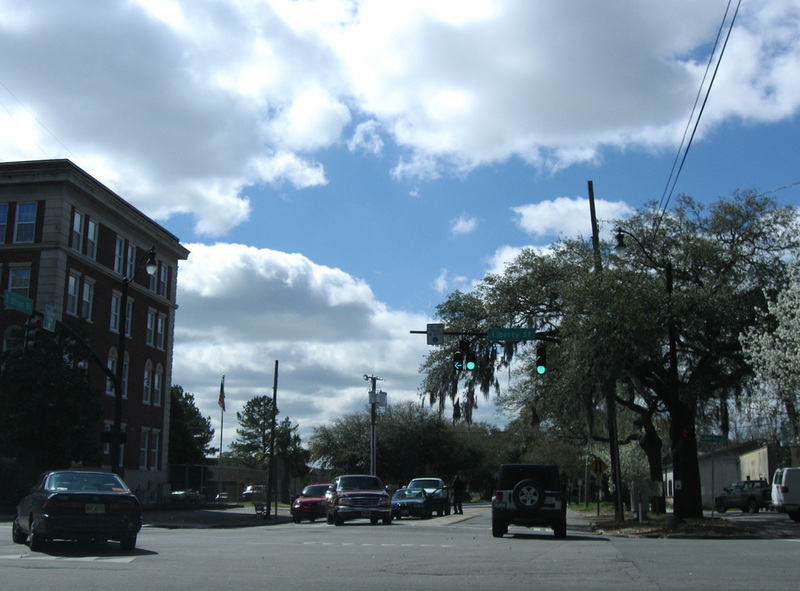 Abercorn Street north and Oglethorpe Avenue come together at the northwest corner of Colonial Park Cemetery. Photo taken 05/29/07. 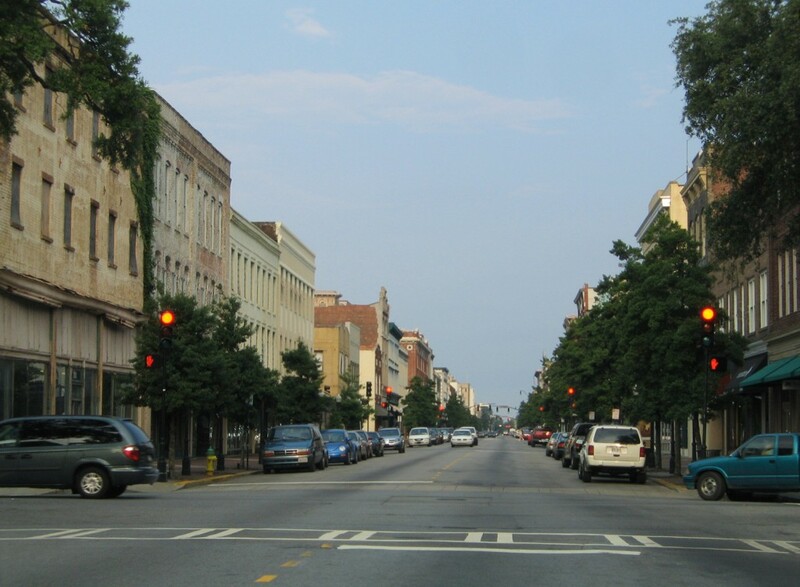 Aberncorn Street heads one block north from Oglethorpe Square to intersect Broughton Street. 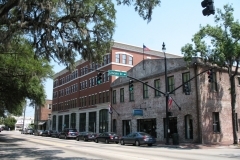 Broughton Street heads west to the Savannah financial district. Photo taken 05/29/07. Abercorn Street north at Bay Street, the former alignment of Toll U.S. 80. A nearby ramp lowers from Bay Street to River Street. Photo taken 05/29/07. Abercorn Street south at Broughton Street. Photo taken 05/29/07. Abercorn Street south at Liberty Street. Photo taken 03/15/10. Abercorn Street south at Henry Street. Photo taken 03/15/10. Abercorn Street south at Anderson Street. Photo taken 03/15/10. 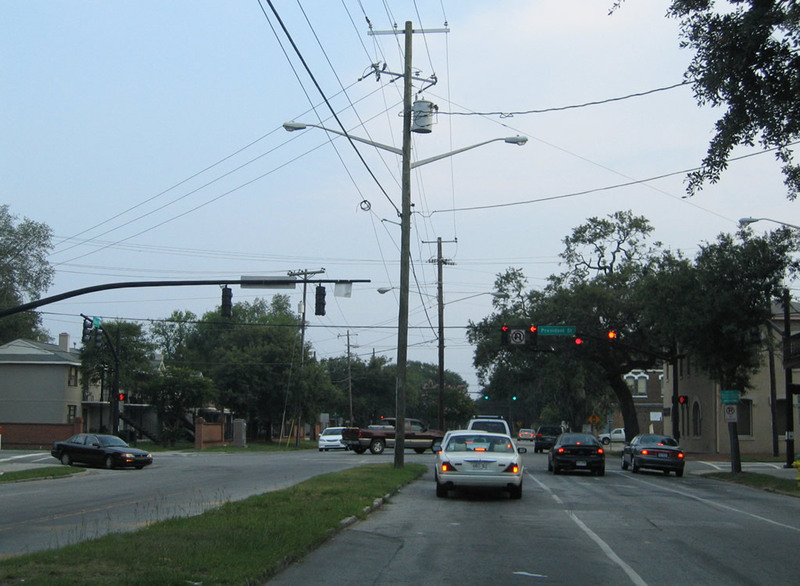 Older traffic signals in operation at 37th Street, where Georgia 204 joins Abercorn Street south from the west. Photo taken 03/15/10. Georgia 204 overlays Abercorn Street south from 37th Street as the street expands into an urban arterial. Photo taken 03/15/10. Bay Street eastbound at Montgomery Street and Downtown Savannah. Bay Street represents the historic alignment of Toll U.S. 80, an alternate route for Victory Drive east to Oatland Island. Photo taken 05/29/05. 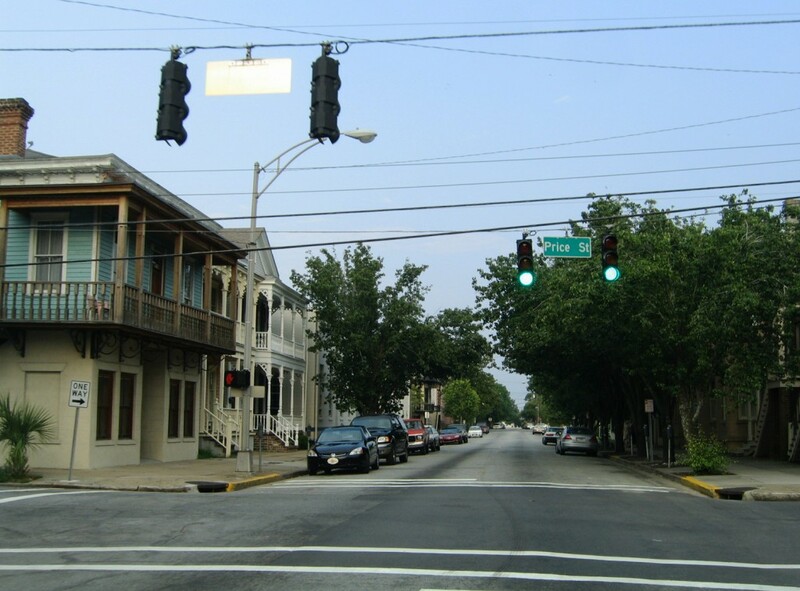 Broad Street east at Dayton Street south in Downtown Savannah. Photo taken 05/29/07. 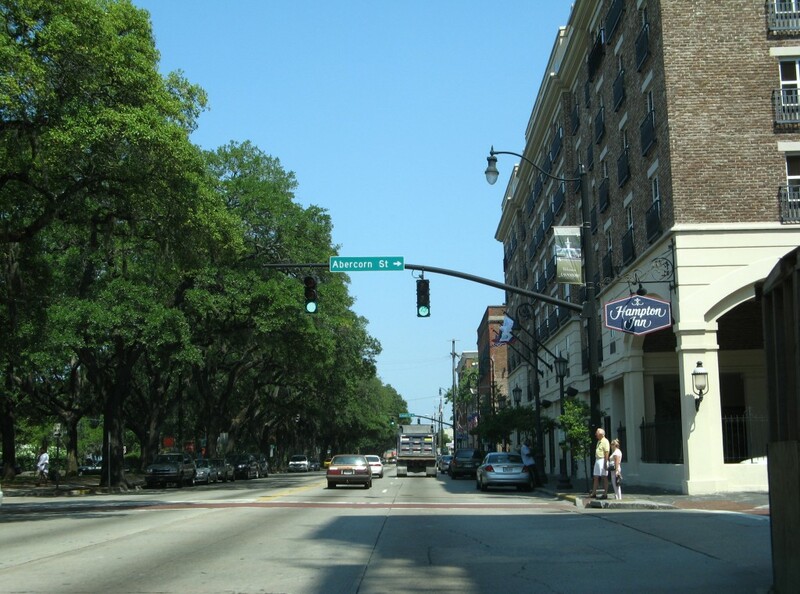 Bay Street east at Abercorn Street, one block north of Reynolds Square in Downtown Savannah. Photo taken 05/29/07. Bay Street east at Lincoln Street. Photo taken 05/29/07. Bay Street east at Broad Street. 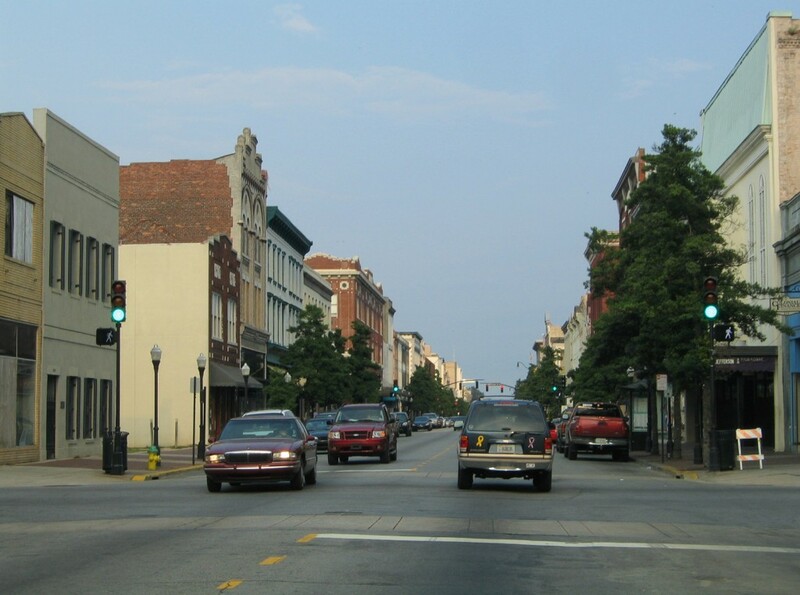 Broad Street provides a north-south through route along the east edge of the Savannah central business district. Photo taken 05/29/05. Bay Street eastbound at East Broad Street. Photo taken 05/29/07. The former alignment of General McIntosh Boulevard east at its merge with President Street. This roadway was closed during the President Street Project in 2015. Photo taken 05/29/07. I-16 trailblazer posted along East Broad Street north at Bay Street in Downtown. This assembly was removed by 2012. Photo taken 03/15/10. 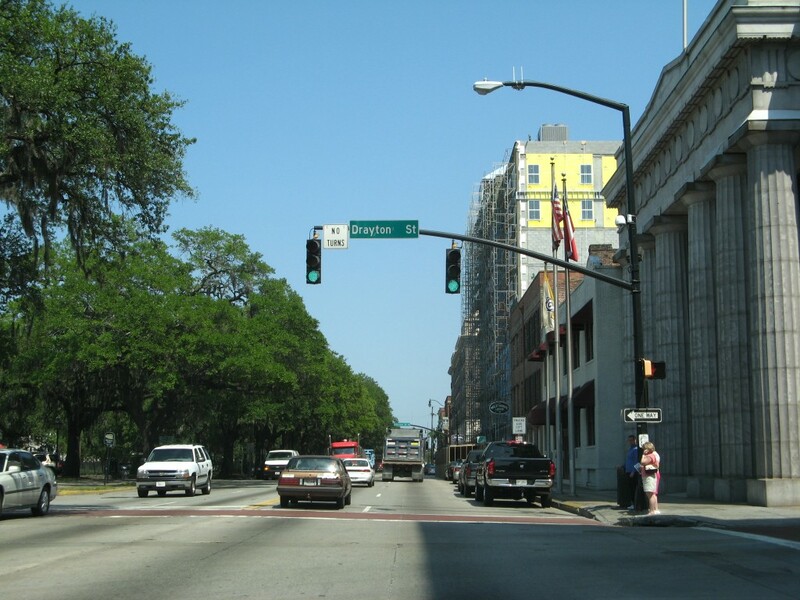 East Broad Street south approaching President Street, which leads east from historic Downtown Savannah to Truman Parkway. Photo taken 03/15/10. 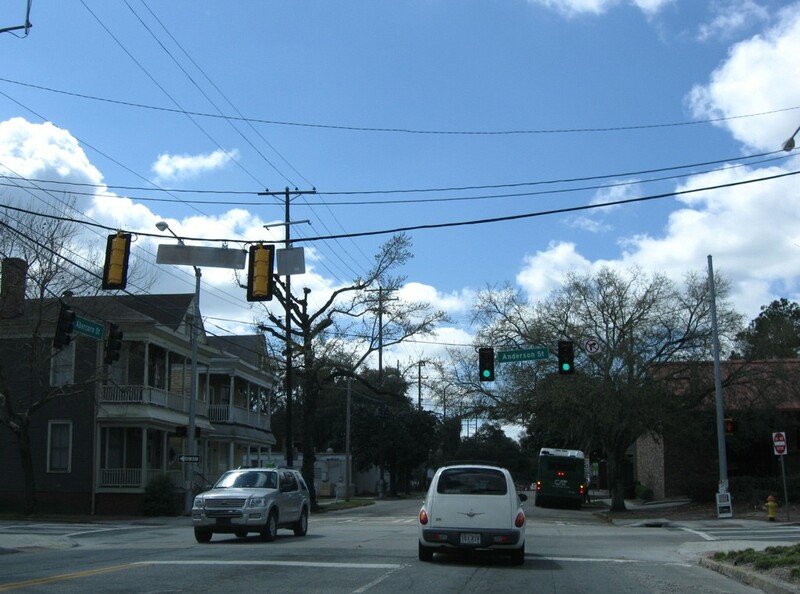 Broad Street travels south from Bay Street along the eastern edge of Historic Downtown Savannah to U.S. 80 (Victory Drive), Pictured here is the southbound intersection with President Street. Photo taken 05/29/05. 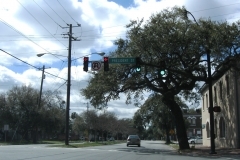 President Street stems east from East Broad Street as a four-lane, urban arterial to overtake General McIntosh Boulevard ahead of Truman Parkway. Photo taken 03/15/10. 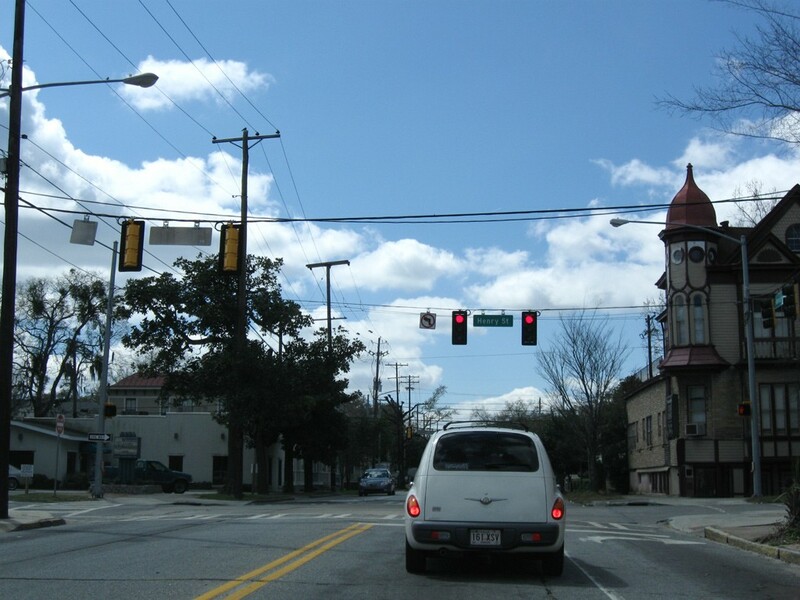 East Broad Street south at Oglethorpe Avenue. Photo taken 03/15/10. 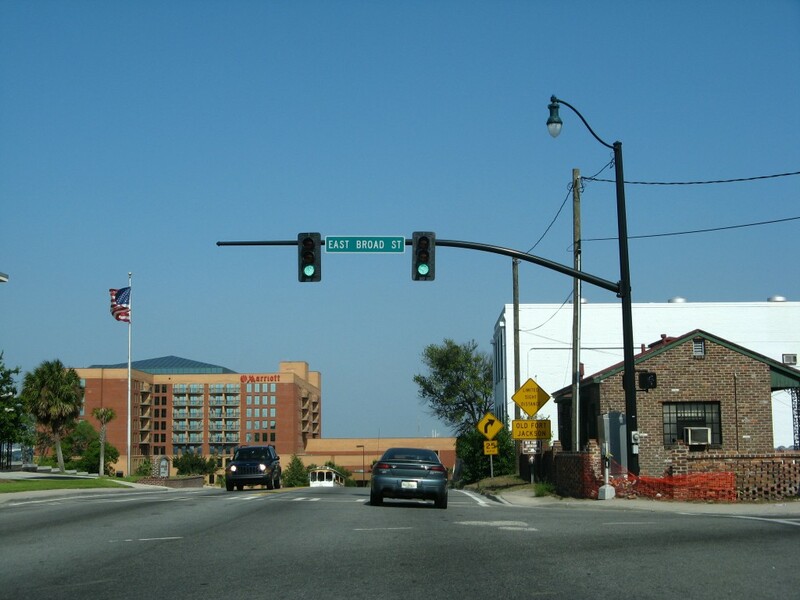 Liberty Street comprises a through street west from East Broad Street to Interstate 16. Photo taken 03/15/10. 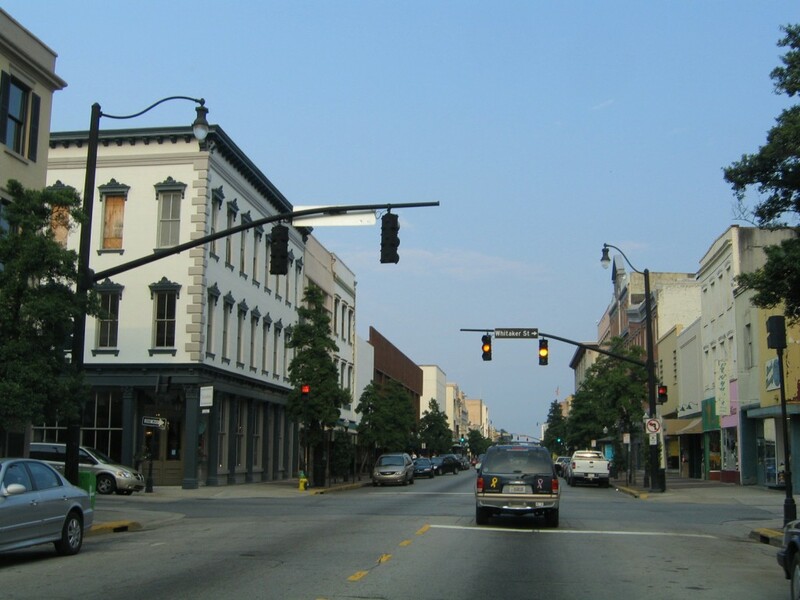 One block east from its beginning, Broughton Street intersects Montgomery Street (old U.S. 17 north / 80 west). Photo taken 05/29/05. Broughton Street eastbound at Jefferson Street. 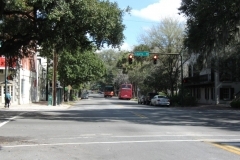 Broughton Street travels through the Savannah central business between the city squares along Congress and State Streets. Photo taken 05/29/05. 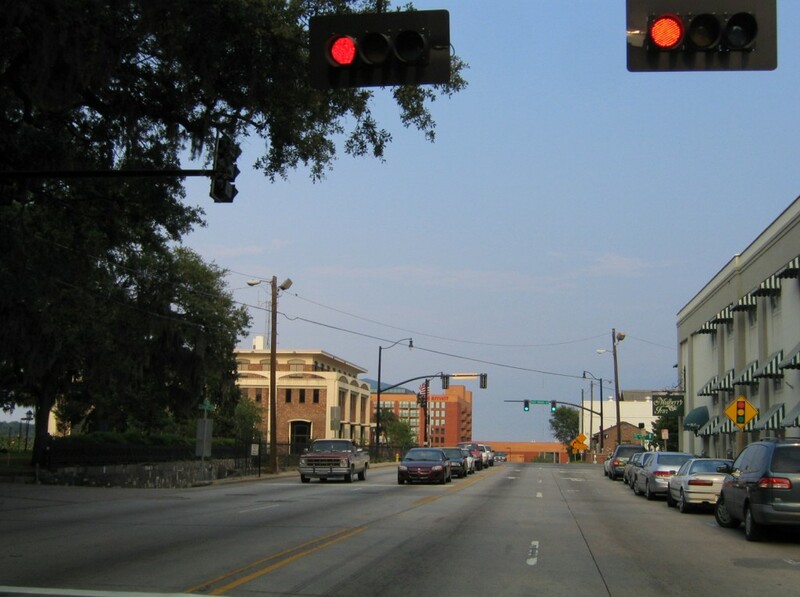 Street level traffic lights operate at several of the intersections along Broughton Street, including here at Barnard Street. Photo taken 05/29/05. 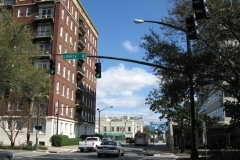 Whitaker Street flows south from Bay Street across Broughton Street to Forsyth Park. Photo taken 05/29/05. 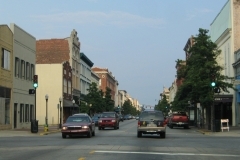 Bull Street intersects Broughton Street east between Johnson and Wright Squares. Photo taken 05/29/05. 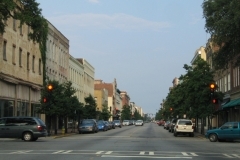 Broughton Street proceeds east one block from Bull Street to meet Drayton Street north. Photo taken 05/29/05. 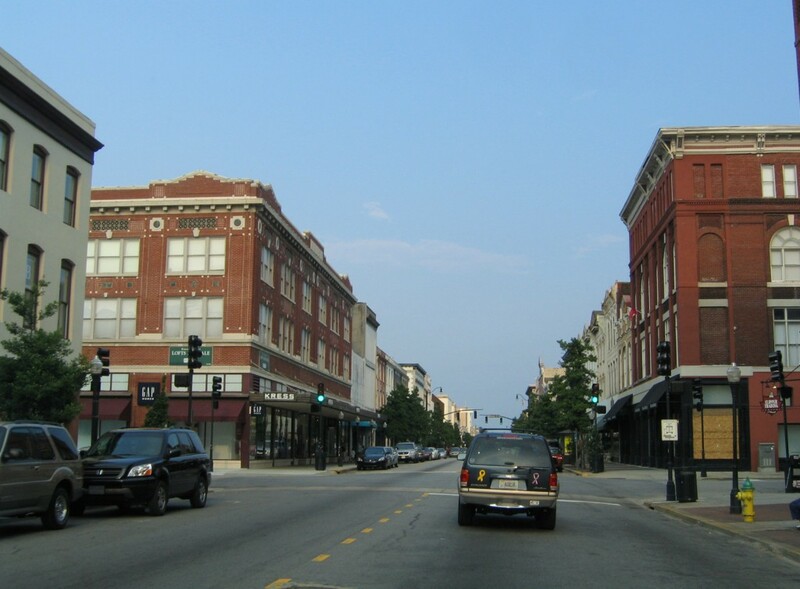 Continuing east through Downtown, Broughton Street intersects Abercorn Street. 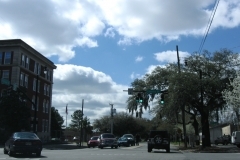 The northeast corner of the intersection is home to the Savannah College of Art & Design Trustees Theater. Photo taken 05/29/05. 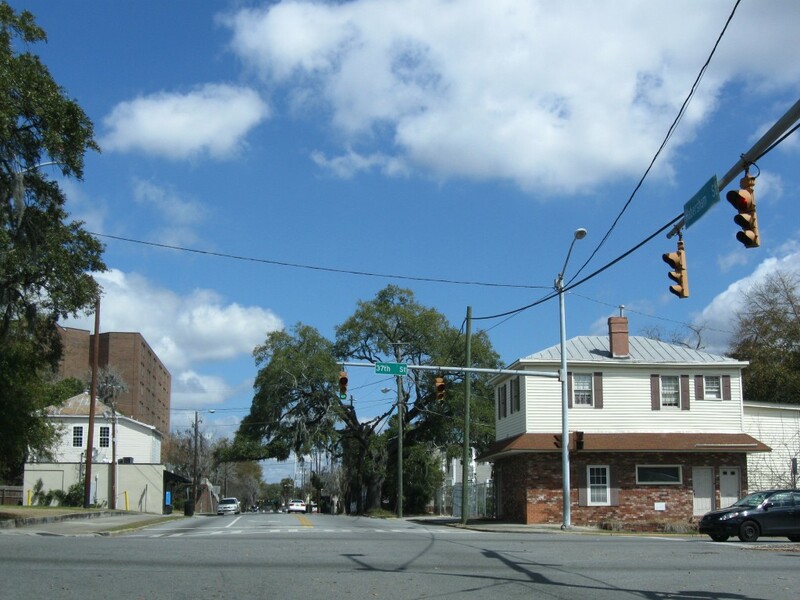 Broughton Street east transitions into a residential street at Habersham Street. Photo taken 05/29/05. Broughton Street meets Broad Street two blocks beyond this traffic light at Price Street. Photo taken 05/29/05. 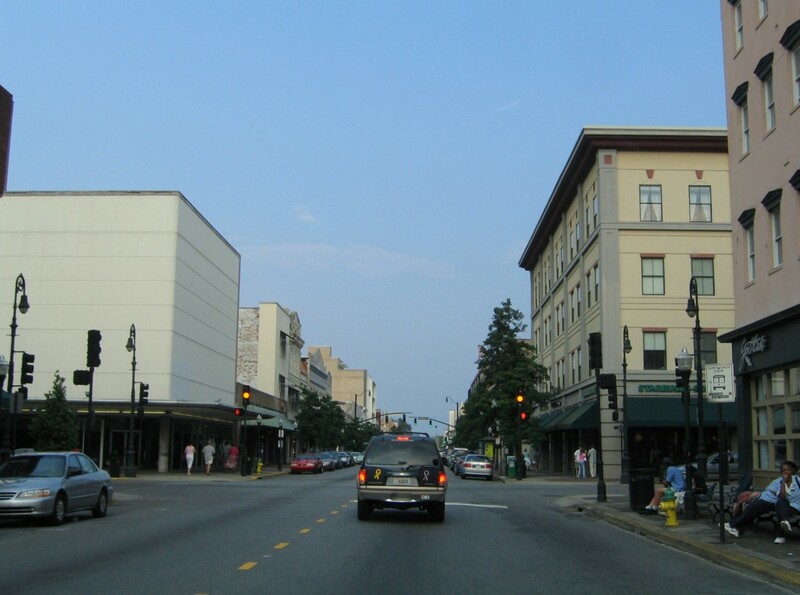 Broughton Street west at Abercorn Street in Downtown Savannah. Photo taken 07/29/05. 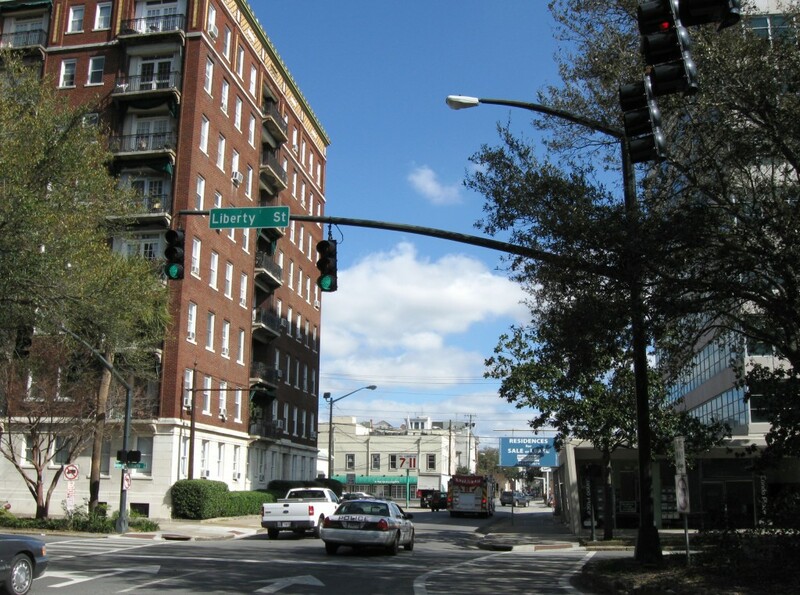 Drayton Street flows north from Forsyth Park to end three blocks north of Broughton Street at Bay Street. Photo taken 07/29/05. Drayton Street north at Liberty Street. Photo taken 03/15/10. Drayton Street north ends at Bay Street above Factoru's Walk on River Street. Photo taken 05/29/07. 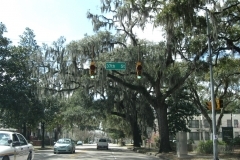 Gwinnett Street west at Habersham Street, three blocks ahead of Forsyth Park. Photo taken 03/15/10. Older traffic lights at the intersection of Habersham Street north and 37th Street (Georgia 204). Photo taken 03/15/10. 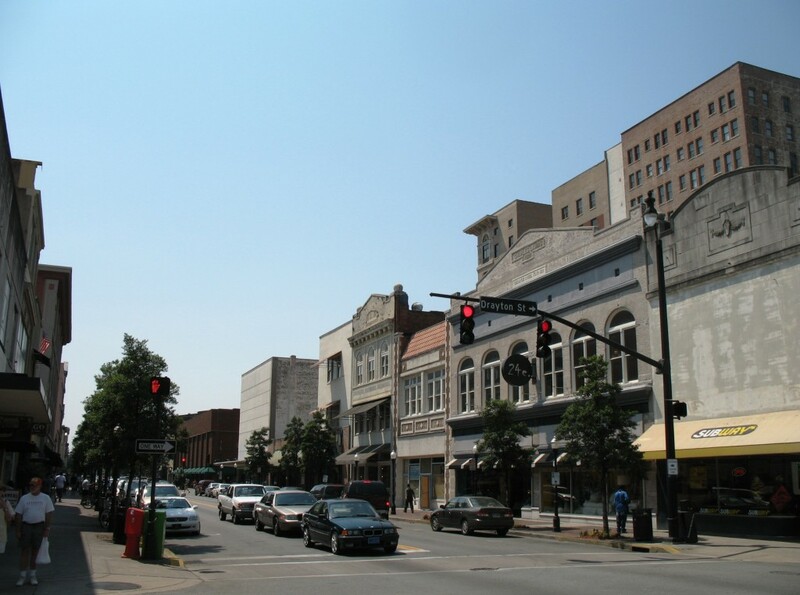 “Savannah’s ‘iron curtain’ may be torn down.” Savannah Morning News, May 21, 2016. 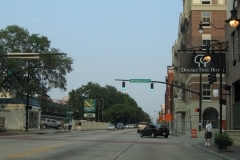 “Proposed I-16 work promises widening, safety.” Savannah Morning News, June 28, 2016. “GDOT to begin project to improve sight on I-516 interchange.” WTOC11 (Savannah, GA) April 20, 2017. 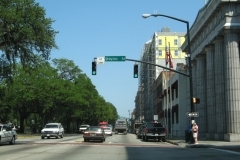 “Road More Traveled – The Georgetown Area Has Upward of $1O Million in Retail Space Under Construction, and That’s Only the Beginning of the Growth the Southwest Bypass Will Encourage.” Savannah Morning News, July 18, 1999. “Drive Through! – Veterans Parkway Flyover Opens, Easing Commuter into Savannah More Than Two Years and $29.5 Million Worth of Construction on GA. 204 Nears Completion with Wednesday&appos;s Road Opening. 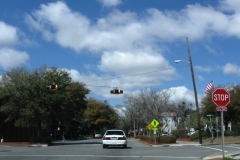 Officers Will be in Place to Ensure Transition Goes Smoothly.” Savannah Morning News, October 24, 2002. 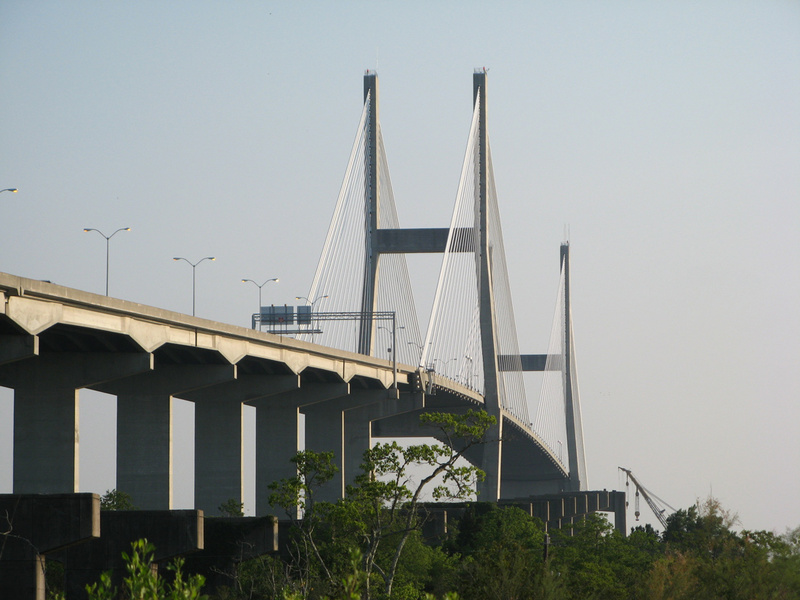 “New Back River Bridge to cost extra $2 million.” Savannah Morning News, February 10, 2015. “Savannah’s Back River Bridge opens for business.” The Island Packet (Hilton Head Island, SC), August 7, 2015. “Jimmy DeLoach Parkway connector ready for trucks.” Effingham Herald (GA), June 1, 2016. “New State Route 204 interchange on-ramp set to open Thursday.” WTGS Fox 28 (Savannah, GA), January 18, 2017. 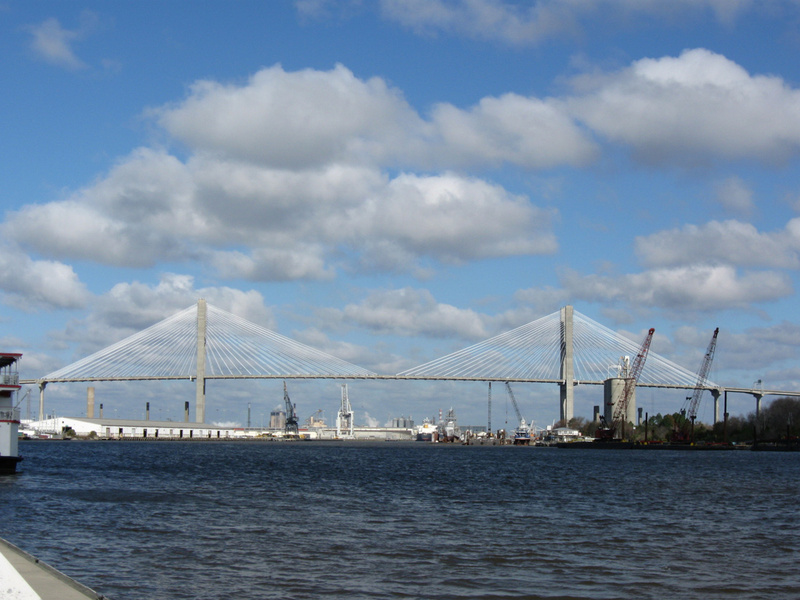 “Portion of Old Skidaway Narrows Bridge Demolished.” Savannah Morning News, December 11, 2013. “Skidaway Bridge Opens – Contractor Now Dismantling Old Drawbridge.” Savannah Morning News, October 15, 2013. Page updated June 23, 2017.